It’s easy to read French wine labels, once you get the hang of it and learn a few simple phrases. Understanding a few terms, words phrases you need for reading French wine labels is much easier than it first looks. This page will explain everything you need to know about how to read a Bordeaux wine label. How to read a Rhone wine label or how to read a Burgundy wine label. In fact, by the time you finish reading this easy to follow and read article, you will know everything you need to know about how to read French wine labels. French wine labeling laws, or perhaps I should say, European wine labeling laws provide more information to the buyer than you usually find on American wine bottles. 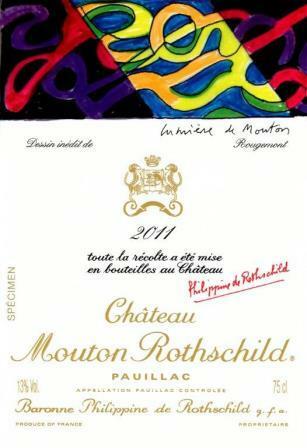 That’s why it’s important to get a handle on how to read French wine labels. However, it’s equally imperative to gain an understanding on the reason and concept behind the information printed on French wine labels. The most important concept to grasp when learning how to read French wine labels is the concept of terroir. The concept behind terroir is simple. The place of origin is what gives the wine its true character. Wines are different because of where they come from. Each specific wine region provides a different wine tasting experience because of the terroir, or place of origin. In America and in several other new world wine regions, that is not always the case. In fact labeling laws vary to a degree in France, depending on the specific rules and regulations in each appellation and level of classification. For example, as you learn to read French wine labels, you will discover that the better the wine, or the higher the level of classification for the wine, more specific detail is provided. On the other hand, as you learn more about how to read a French wine label, you will also discover that the lower the quality or classification of wine will provide you with less details printed on the wine label. The lowest class of wine from France does not even provide you with the vintage, or origin of the vineyard, all you get is the producer name and the country of origin. 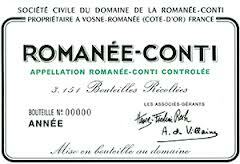 If that was not enough reading for you, there are numerous rules and laws that vary from appellation to appellation and wine growing region in France, set forth by the AOC. Back to how to read French wine labels. Now that you understand the concept behind terroir, and in turn French wine labels, it gets a lot easier from here. These are the definitions for the majority of terms you are going to find when you read French wine labels.